Shortly before dawn on a frigid morning in Radom, Poland, German soldiers forced twenty-one year-old Icek "Joe" Rubinsztejn onto a crowded, open-air truck. The next day, several around him were dead. From there, things got worse for young Joe-much worse. 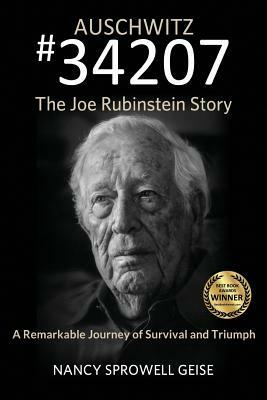 Joe arrived at Auschwitz on April 30, 1942. Now, in his nineties, Joe reveals how he survived several of the most notorious concentration camps when so many others perished. His is a remarkable narrative-a unique story of endurance, courage and faith. Barefooted when he was seized by the Nazis, Joe became one of New York's leading shoe designers-working with companies whose shoes were sought after by First Ladies and movie stars alike. Joe's story bears witness to the ultimate triumph of the human spirit. While the Nazis took everything else, they were unable to take his unassailable joy. Joe's story is one of discovering light in the darkest of places, an inspiration for us all.